Ruth Rendell, best selling author of the Chief Inspector Wexford police mysteries and other crime fiction books, has died at the age of 85 on Saturday 2 May 2015. Many of her crime fiction explored deeply the psychological background of criminals and their victims, many of them mentally afflicted or otherwise socially isolated. 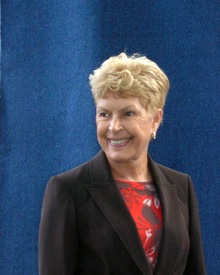 Ruth Rendell wrote 24 Chief Inspector Wexford mysteries, 28 stand alone novels, numerous short stories and 3 novellas. Her last book, Dark Corners, is due to be published October 2015. She also wrote psychological thrillers under the pseudonym Barbara Vine. The library has many of her titles including some TV adaptations. click here to take a look. This entry was posted in All, Awards & Prize Lists, Fiction, Mystery & Crime by Parra Reader. Bookmark the permalink.